The leaders of CCID Smart visited YHT for a diagnostic meeting of intelligent manufacturing enterprises on Nov. 1st., 2018. We will get the diagnostic report and improvement measures that support YHT improve its production and management. The CCID Smart is a scientific research institution directly under the Ministry of Industry and Information Technology. 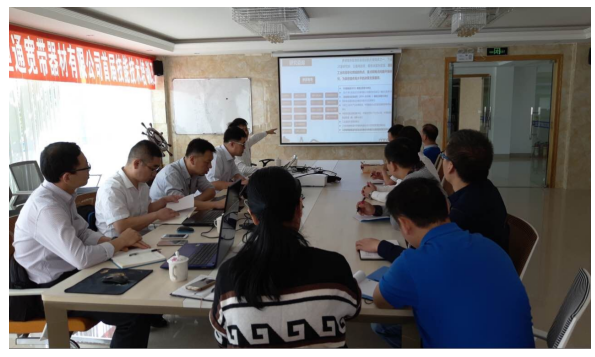 As a domestic authoritative technical service institution, it is the Secretariat of the National Advisory Committee on Building a Strong Manufacturing Country and the implementation platform of Sino-German Intelligent Manufacturing Cooperation. It is also the special management support unit of Intelligent Manufacturing of the Ministry of Industry and Information Technology. It has the country\\'s top technical capabilities and rich service experience in Intelligent manufacturing research and technology services.